A Capturing Our Wayland Heritage facebook group http://www.facebook.com/group.php?gid=10150099192585096&v=wall was set-up by me in my former role as Project Heritage Officer in March 2010 as part of the project. Anyone of the former project Focus Group is free to join the group, and be made an officer and or admin for the site, one other and myself are already members. The future organisation of the group will be the subject of a meeting of the former Focus Group members, the date and venue for this first meeting will be sent out by Jan and Bron. At our last Focus Group meeting several of us talked about having an open group page for the new group, so we can share information in an open forum, so new people could become involved, this existing facebook group can just be a stop gap to fill that need until the next meeting, when if the members request it this group page will be closed that night, or continue in use for the use of the new group, what ever you all decide on the night. 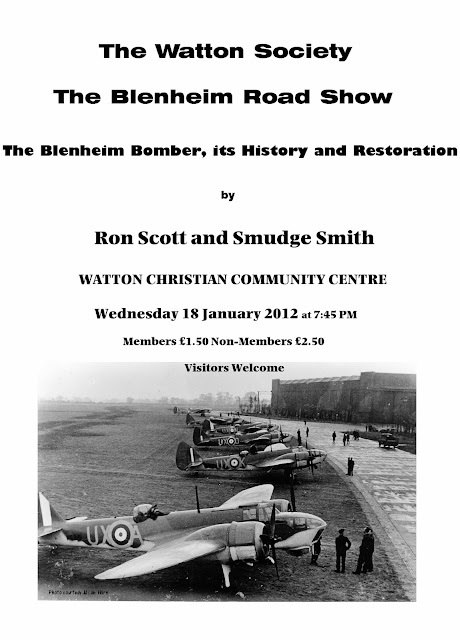 Group member Julian Horn has passed on the info about this forthcoming event 'This should be a cracker of a talk, Smudge has rebuilt the Blenheim 3 times and was on board in the Air Gunner’s position during its first crash many years ago.' It sounds an event not to be missed. The Wayland Heritage School Packs are finished and will be delivered to each of the Wayland schools, with a set of the 13 books, on 3rd Jan. The packs provide a guide to the 13 Wayland Heritage books and data DVDs, and there is also additional material giving a Wayland wide view of some aspects of the area's history. This was the last element of the project worked on by the project Heritage Office, who's final day it was today. We had a lovely last meeting of the Capturing Our Wayland Heritage Focus Group on 15th Dec, we must have all been good as Father Christmas came. 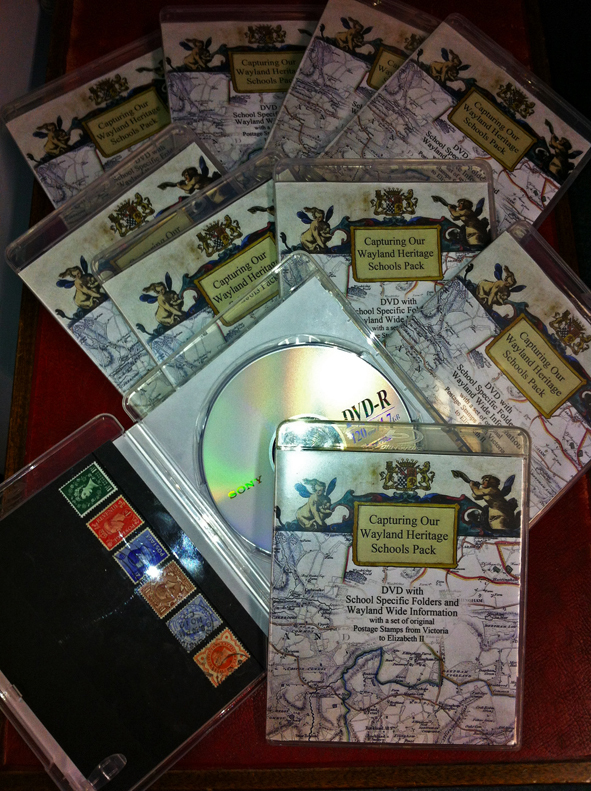 The 13 Wayland Heritage books with DVDs have all been published for Ashill, Breckles & Stow Bedon, Carbrooke, Great Gressingham, Little Cressingham, Great Hockham, Griston, Ovington, Saham Toney, Scoulton, Thompson, Merton and Watton. They are available from the Wayland Partnership at Wayland House, High Street, Watton. 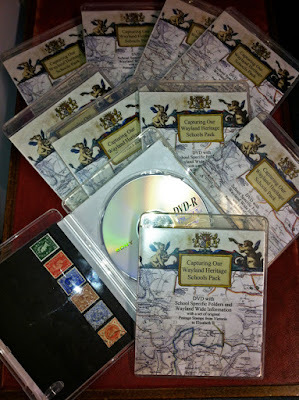 The price is £6 for Hockham, Little Cressingham and Ovington all the rest are £8, most of the money will go towards reprinting the books and £2 for supporting a new Wayland Heritage group that will be formed early in the new year, to continue the work of researching and recording the areas history. 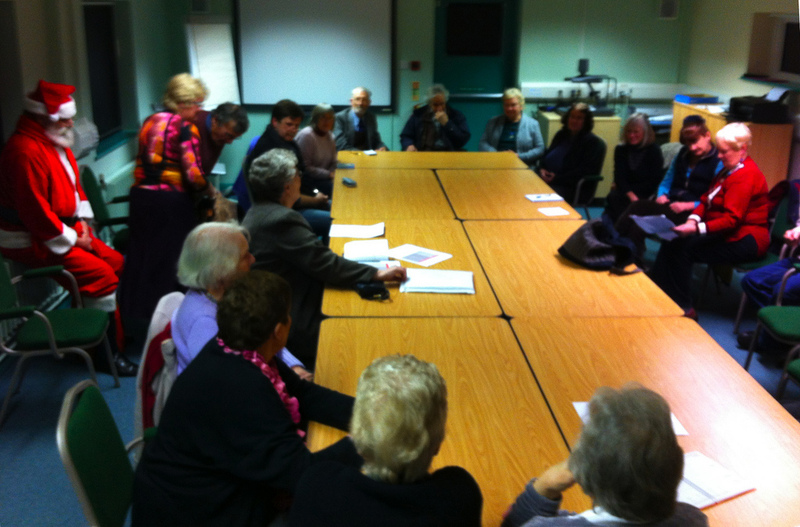 I will be looking forward to meeting up with you all at the first meeting of the new group. 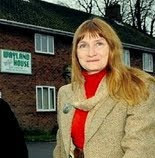 It has been a great joy and a privilage to have been Wayland Heritage Officer for the project from Jan 2009 to end Dec 2011, working for the Wayland Partnership with the support of the National Lottery Heritage Fund. Thank you all so much for your hardwork and friendship, have a Merry Christmas and a very happy New Year.